My boy loves animals. They’ve always been a theme in his bedrooms one way or another. Now that he is a little older I wanted to update the look from baby boy little animals to a design that would grow with him. 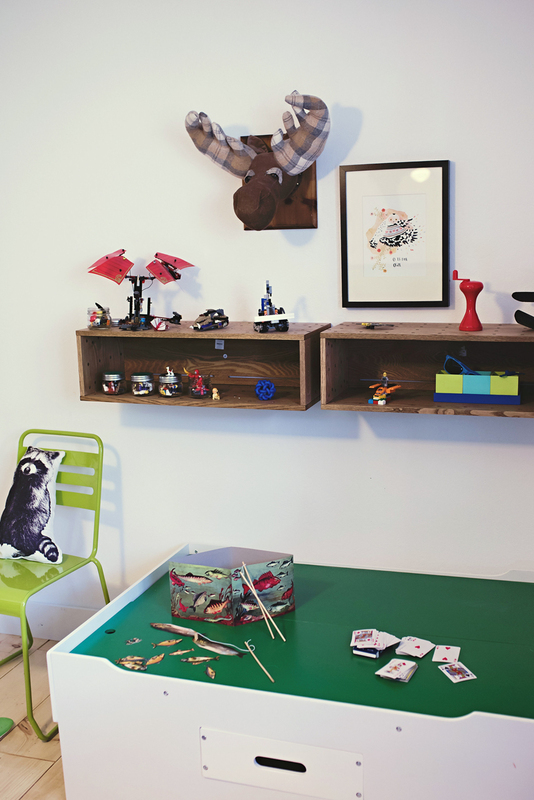 I love the large graphic pieces in his space that bring the animal theme into a bit of an older boy aesthetic. His new room is filled with such sweet boyish animal love. He had a spirit of innocence and appeared to smile with intrigue and excitement at his big new world. 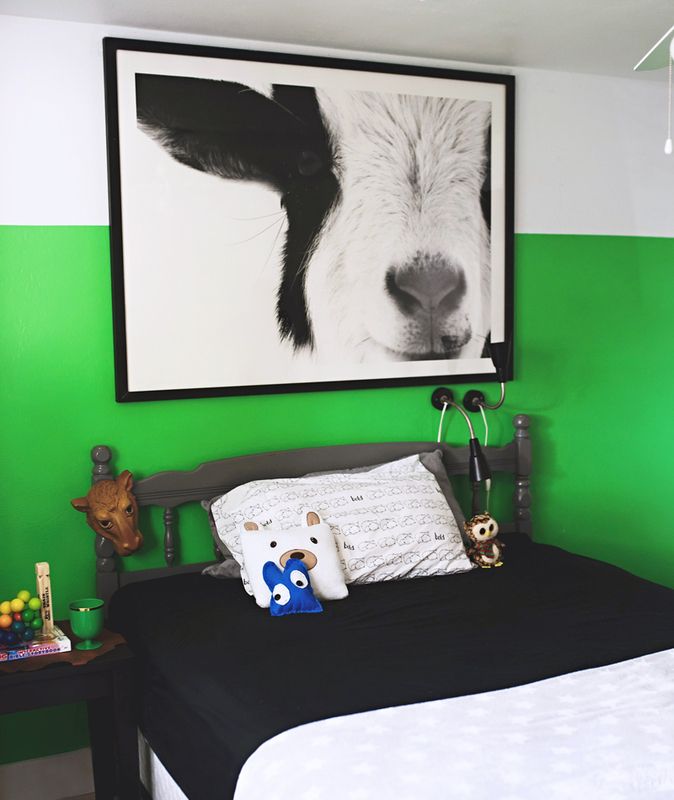 Since I let his sister paint her wall, dude got to pick the wall color for this space which we took up about 3/4 of the wall to leave a little breathing room. 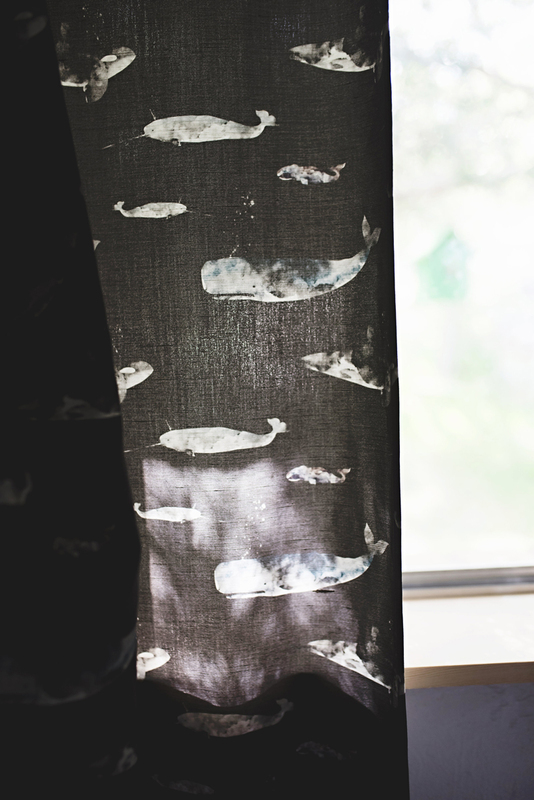 These Whale Curtains continue our graphic animal touches. Along with our favorite Joe the Camel mask which we found while thrifting together one day. 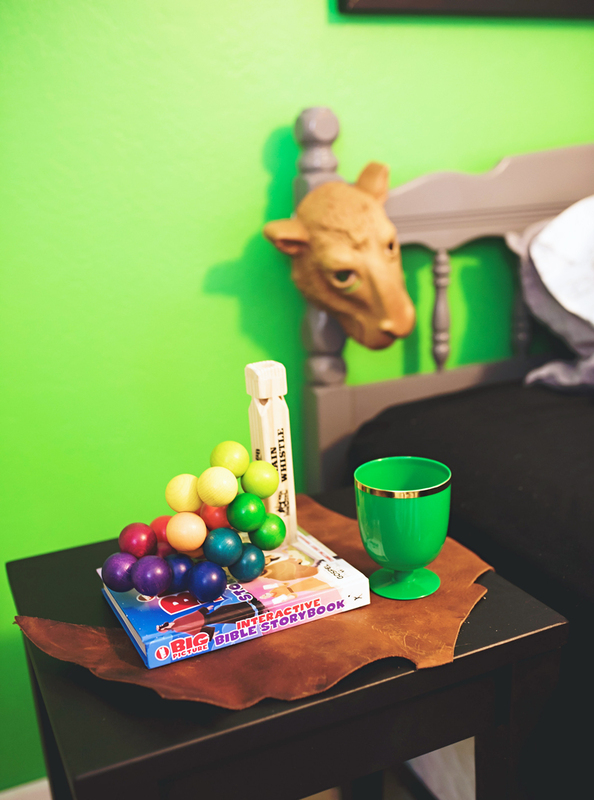 The natural animal hide is a fun way to pull his bedside table into the mix placed under our favorite big boy bible since my kids can read it on their own these days. That fact still seems crazy to me! Although both my kids are 7 going on 20, they are definitely still heavy into the Lego stage. We purchased this lego table a couple years ago and it’s been awesome – however we still needed a space for displaying finished pieces. The walnut shelves are a great solution. 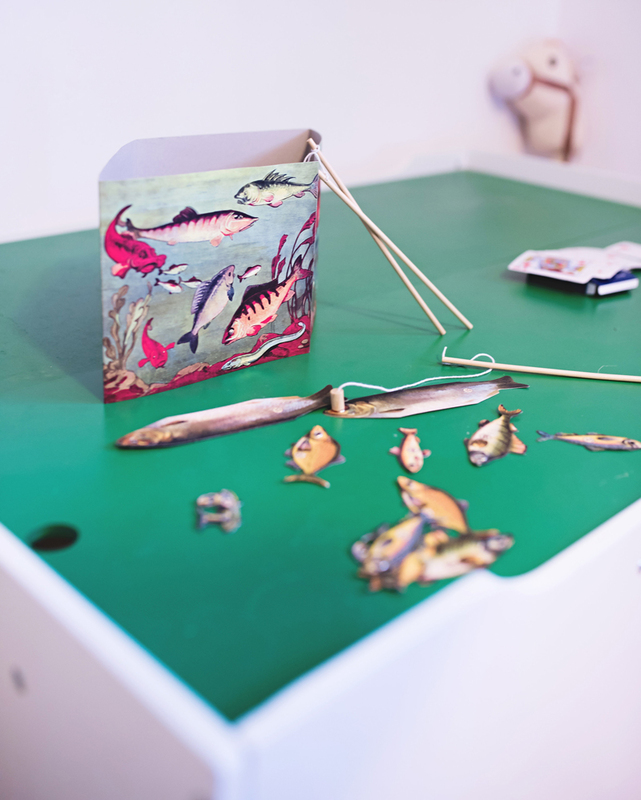 A playful raccoon pillow and an old fashion fishing game bring the room to life. It was fun to create bedroom designs in collaboration with my kids, focusing on elements they love and growing each of their spaces up a bit. I think being able to source creative artwork and the graphic custom patterns that Minted produces really helps a vision like this come together. As the kiddos continue to grow (they just don’t seem to stop!) 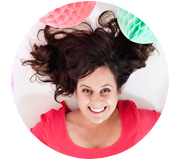 I look forward to more kid centered collaborations with crafts, birthdays, and fun decor projects at home. (Photography @A Subtle Revelry by Erin Holland).